Ready to start your Irish family history research? Great! While it’s often lamented that there is a lack of resources for Irish genealogy because of the 1922 Public Records Office fire in Dublin that destroyed historical records including censuses, and court and church records, it’s important to know what is available that can help you find and learn more about your family (and to know that not everything was destroyed in that fire). * Consider the following resources as you start your Irish genealogical search. 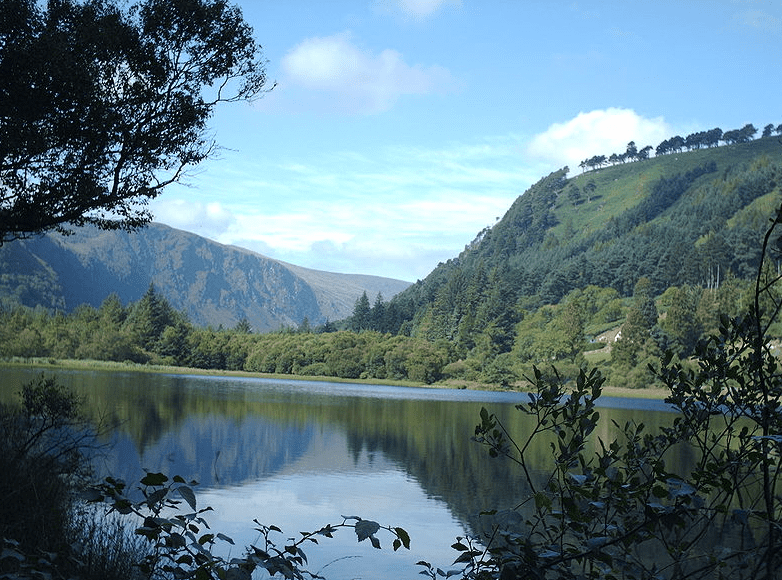 Photo: Glendalough, County Wicklow, Ireland. Credit: Stefan Flöper; Wikimedia Commons. Did you know that GenealogyBank has an Irish American newspaper collection? The collection consists of newspapers published in the United States that focused on the Irish community and what would have been of interest to that community, including news from abroad. 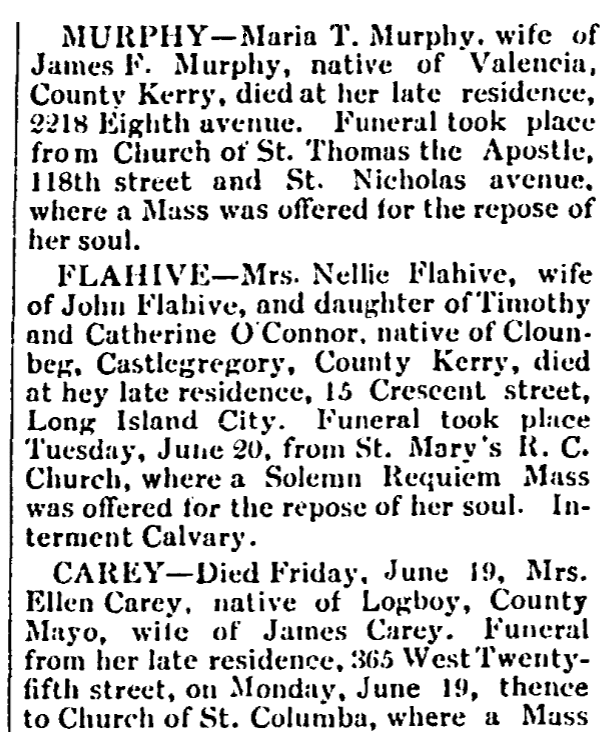 These newspapers do provide a lot of historical information – but they also include entries that document individuals’ lives, like these obituaries from 1911. Notice that they include where in Ireland the person was from, an important detail that makes a world of difference to the researcher who is uncertain of their ancestors’ origins. The detail in some of these obituaries is fantastic and will lead researchers to other records for additional information about their ancestors. 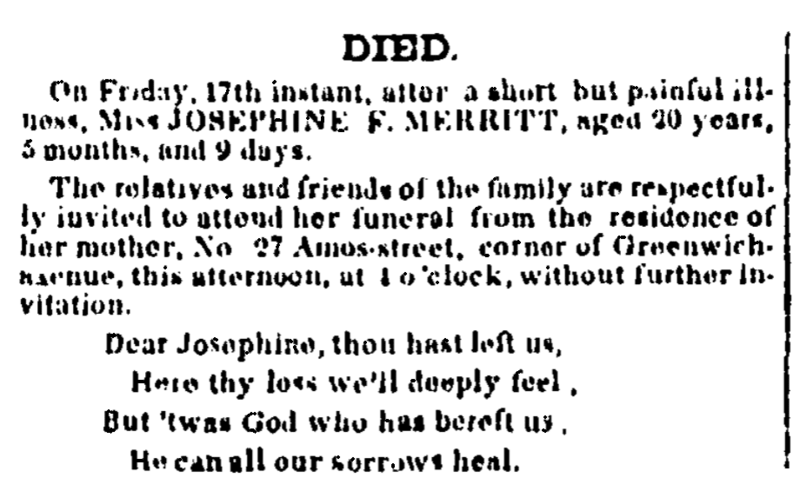 This 1849 obituary for Josephine F. Merritt states that she died of a short and painful illness, and that friends are invited to attend her funeral at her mother’s home. A poem ends the obituary. What a wonderful find for genealogists researching the Merritt family! Dating back to 1810, these Irish American newspapers are an important addition to your Irish family history research. 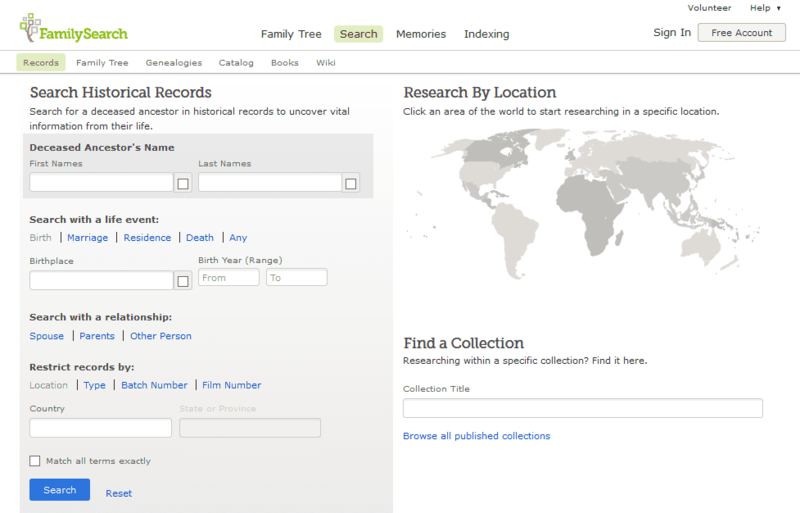 It’s probably no surprise that I am recommending you take a look at FamilySearch and the FamilySearch Research Wiki. Search the Wiki for Ireland Genealogy and you will find links to research tutorials, records, and guides. Make sure to explore all aspects of this page from the Wiki Topics box on the right to the tutorials found at the very bottom of the page. This Wiki page should be a continuing reference as you research. Aside from records found on FamilySearch, there are also links to other FamilySearch resources such as Facebook groups that can help you connect with other researchers who have experience with Irish research. 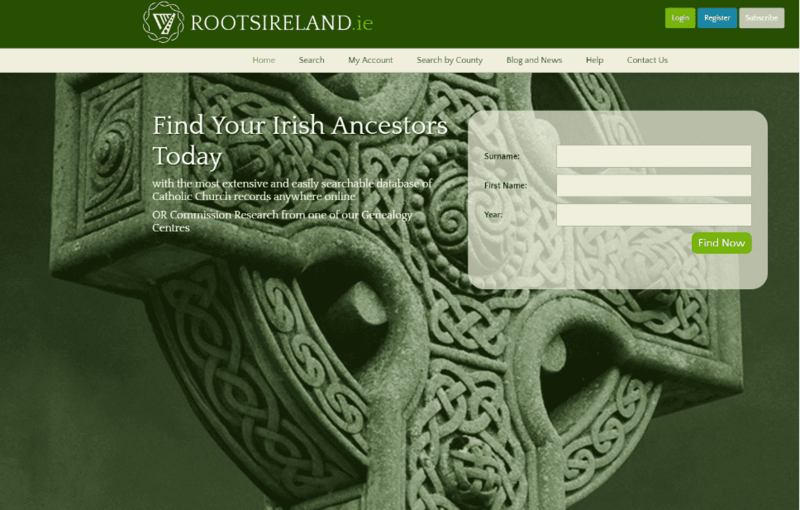 The FamilySearch Research Wiki describes RootsIreland.ie as a “key site for Irish records,” and it’s easy to see why. With over 23 million Irish records, RootsIreland.ie is an online resource that you will want to learn more about. According to their website, their data comes from “34 county genealogy centres on the island of Ireland.” Records such as Catholic and other church records provide information on baptisms, marriages, and deaths. Other types of records found on the website include civil records, censuses, and gravestone transcriptions. The website allows you to search by your ancestor’s name or to search by county. This is a subscription website with the option to purchase everything from a one-day subscription to a one-year subscription. A map found on the bottom of their homepage illustrates which county’s records are currently online. Have you recently learned that your DNA results include a wee bit of the Irish? Celebrate Irish American Heritage Month by exploring your Irish roots. To begin, exhaust home sources first – but then explore the resources above to help you fill in your Irish family tree. * “Ireland Record Loss,” FamilySearch Research Wiki (https://www.familysearch.org/wiki/en/Ireland_Record_Loss: accessed 14 March 2019).